1. Is there a way Minitab can reformat data from a row layout to a column layout? Yes, there is. 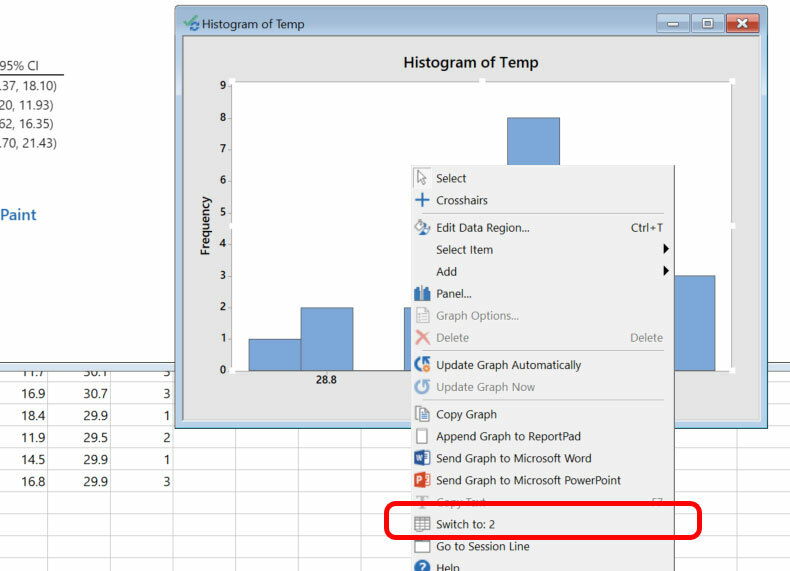 The Transpose Columns function (in the Data Menu) can change columns to rows. 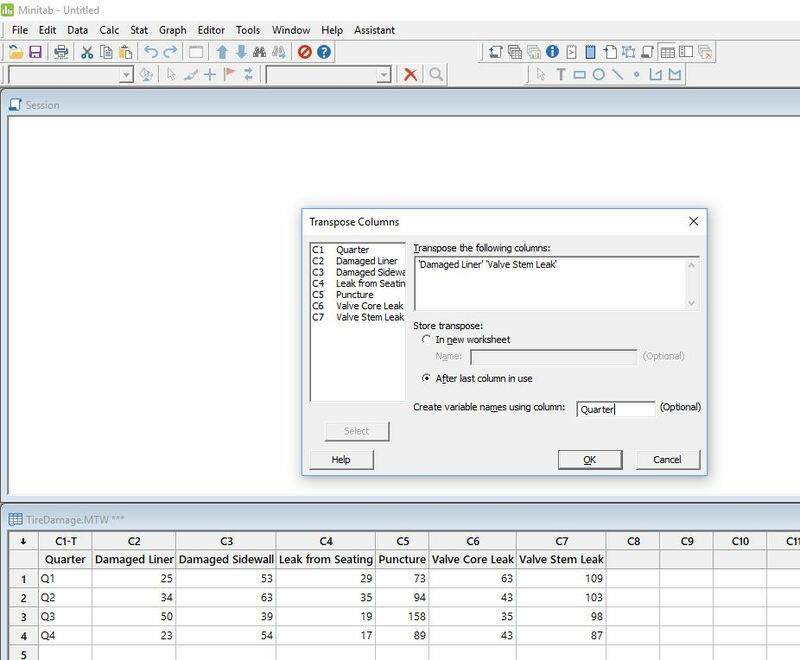 See an example of how you can try it in the Minitab help area. 2. Will hidden sheets from an Excel workbook still be imported? Yes. 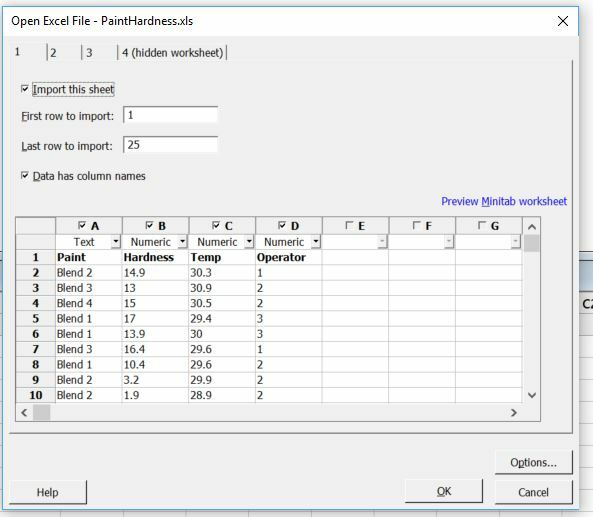 When you click File > Open Worksheet and select your xls or xlsx Excel file, both the hidden and unhidden worksheets will show in the dialog box, and you can check or uncheck the Import this sheet box to include them in your Minitab worksheet. 3. Can you filter data to only select the data between two dates? 4. When you have multiple worksheets and create a graph, how do you tell which worksheet the graph is based on by looking at the graph alone? You can right-click on any graph and you will see the option Switch to: followed by the name of your worksheet third from the bottom. This is the worksheet your graph came from. 5. Can you use the brush function to remove outliers? Yes.You could brush them on a graph and then remove them from your worksheet by using the Subset Worksheet function. Be careful what you identify as an outlier, though (have you identified an assignable cause before removing the data from your worksheet?). Hopefully these answers helped you. If you have any other questions, please feel free to check out our support resources or contact us directly. Interested to learn more? 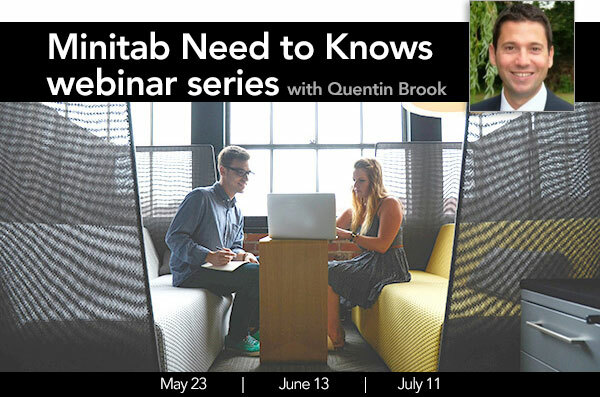 Sign up to attend the next webinars in the series, First Steps for Data Analysis on June 13 and Introduction to Process Capability July 11. Don't worry if you can't make it — we send the presentation and recordings to everyone afterward as well. Learn more and save your seat here.